Mayor Turner would like to see it happen. In a recent informal lunch with members of the media as he approached six months in office, Mayor Sylvester Turner ticked off the important things his administration has accomplished — unanimous passage of a balanced budget, pothole repairs — and issues he plans to tackle — the pension mess, theKush problem in city parks, serious street repair projects, job development. But what really got the mayor excited is the idea of a major amusement park within the city limits of Houston. “If we want to be that destination city in terms of conferences and tourism, we have to have that component in this city,” he said. 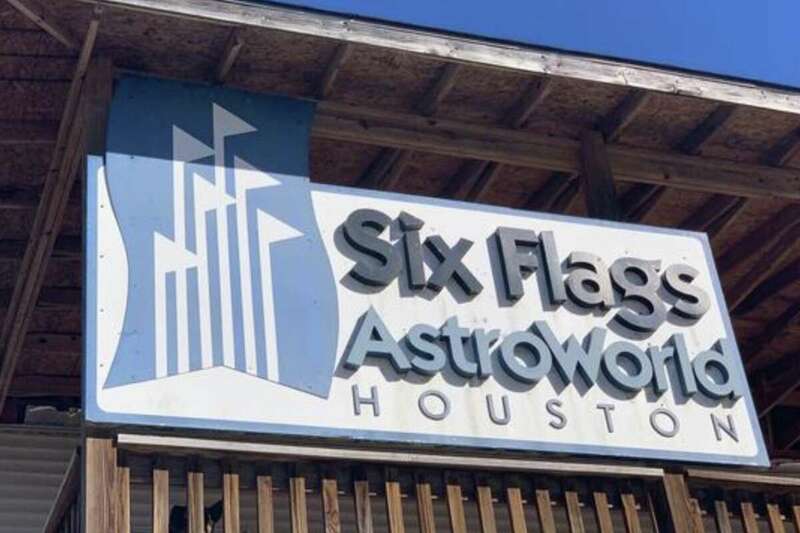 Well, half of the original Astroworld site is still available – the other half is now owned by the Rodeo. I have no idea how many other parcels of land within city limits there are that would be big enough for an amusement park, and I strongly suspect the number of such parcels with easy access to a freeway is even smaller, but who knows? It would be cool if it could happen. Swamplot has more. NYT reporter Jere Longman, who hails from Houston, penned a love letter to the Astrodome after hearing about its possible impending demise. At long last, is this the end? So it was despairing to hear that the vacant Astrodome might be torn down and its site paved over as Houston prepares to host the 2017 Super Bowl. Demolition would be a failure of civic imagination, a betrayal of Houston’s greatness as a city of swaggering ambition, of dreamers who dispensed with zoning laws and any restraint on possibility. A recent drive past the abandoned Astrodome at night revealed it to be unlit. It has been closed since 2008. The stadium was visible in silhouette, like a waning moon. In daylight, however, beneath the dust and neglect, the Astrodome’s silvery exterior continues to summon a city’s innovative past and futuristic promise. By contrast, Reliant Stadium next door is a dull football arena, designed with all the imagination of a hangar to park a blimp. James Glassman, a Houston preservationist, calls the Astrodome the city’s Eiffel Tower and the “physical manifestation of Houston’s soul.” New York could afford to tear down old Yankee Stadium, Glassman said, because the city had hundreds of other signature landmarks. Not Houston. Along with oil, NASA and the pioneering heart surgeons Michael E. DeBakey and Denton A. Cooley, the technological marvel of the Astrodome put a young, yearning city on the global map. Houston’s best ideas bring clever solutions to tricky problems. The weed whacker was invented there in 1971 by a dance instructor and developer named George Ballas. He got the idea from whirling brushes at a car wash. His prototype consisted of an edger and fishing wire threaded through a can of popcorn. The Astrodome was built to solve a vexing conundrum: How to bring major league baseball to a city where the temperature could match the league leaders in runs batted in? Demolition “would symbolize that we’ve just decided to quit,” said Ryan Slattery, whose master’s thesis in architecture at the University of Houston offers a different alternative. Slattery’s plan, which has gained traction, involves a vision of green space. He would strip the Astrodome to its steel skeleton, evoking the Eiffel Tower of sport, and install a park. It could be used for football tailgating, livestock exhibitions, recreational sports. Other ideas have been floated through the years, some more realistic than others: music pavilion, casino, movie studio, hotel, museum, shopping mall, indoor ski resort, amusement park. All private proposals for the Astrodome are due by June 10 to the Harris County Sports and Convention Corporation, which oversees the stadium. Legitimate debate can be had about whether the Astrodome’s innovations ultimately enhanced or detracted from the broader sporting experience. Whether indoor stadiums lend sterility. Whether artificial turf leaves players more vulnerable to injury. Whether we need scoreboards to tell us to cheer. Whether basketball played in giant arenas is an abomination. But the Astrodome is too essential to become a parking lot. Slattery is right when he says that Houston should not demolish the memory of its past but reimagine it for the future. Again, as someone who Did Not Grow Up Here, I don’t share the sentimental attachment to the Dome, and as a lifelong Yankee fan who watched the House That Ruth Built get demolished, I’m not greatly moved by pleadings about other stadia’s historicness. The weed whacker is a great invention and all, but last I checked New York was the home of some innovations, too. Forgive me if I don’t see how that has anything to do with the argument at hand. Jeff Balke, who is from here, has come to accept that the Dome may be doomed, and he just has one simple request. But, for the love of all that’s holy, if the powers that be are going to, once and for all, demolish the only true identifiable Houston landmark, why must it be for a parking structure? The truth is blowing up the Astrodome to build a parking garage for VIP parking would be in character for our city. We live in a city where historic preservation may as well be a four-letter word. The laws — and I use that term extremely loosely — governing what can be protected are so lax that virtually anyone with a bulldozer and a wad of cash can shred any structure in the city and build whatever they goddamn well please on the piece of dirt that remains. Most believe that the plan for the Dome has been set in motion for some time. With a limited deadline in place and few real solutions — at least ones that have monetary backing — it seems a foregone conclusion that the Texans and Houston Livestock Show and Rodeo will get their wish and teardown the Eighth Wonder of the World to be replaced by a place you park your luxury SUV. I’ve heard people complain that they are sick of hearing the argument and we should just tear down this old, sad, rotting structure. Fact is, the structure isn’t rotting. Sure, the seats are. The sheetrock is. But the bones of the building are in fine condition. It has held up against multiple hurricanes and housed the victims of one of the most devastating disasters in U.S. history, a shelter for those no one else wanted. And this is how we repay that memory? There is also the old “whatever we do, it should be cost neutral” argument. Yes, because everything good in this world must turn a profit. I’m fairly certain no one in Paris worries that the Eiffel Tower doesn’t earn money. The Roman Coliseum is anything but cheap to maintain, yet the folks in Italy aren’t clamoring for it to be torn down so they can put in some luxury condos. And before you start in on the whole “You can’t compare those places to a football stadium,” the Astrodome is modern history’s version of an architectural marvel. It was the first of its kind and it is to Houston what those other iconic structures are to their cities, just a little younger. It should be noted that the Rodeo bought part of the old Astroworld site in December, which they already use for parking. Surely there’s a deal to be made with the county and Reliant that could address Jeff’s concerns. Be that as it may, I disagree with his point about other landmarks like the Eiffel Tower and the Coliseum. Age and historic value questions aside, those things are in active use today. The Dome isn’t. That’s really what this all comes down to, whether or not there’s a viable, financially sustainable use for the Dome in some form. As such, the cost issue does matter. The county would like to not have to pay $1.5 million a year on top of the bond debt it still owes to maintain an empty building, and any private investors not only have to convince a bank to finance their redevelopment scheme but also have to earn enough money in the long run to keep it afloat. 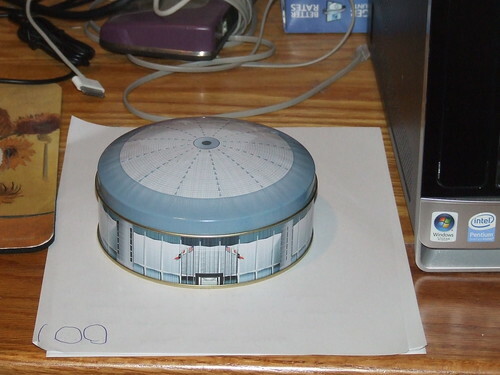 Look at it this way – if the county agrees to sell the Dome to a developer to be converted into a museum or hotel or park or whatever, and they subsequently go belly-up because it turns out there just wasn’t that much demand for whatever they built, what do you think happens then? I don’t know for sure, but I can say with some certainty that it won’t involve multiple feasibility studies and a public referendum. It’s in our interest to get it right the first time, because if we don’t we won’t get to have any say in what happens after it all goes wrong. I certainly agree that anything is better than another parking lot, but not anything is necessarily more likely to be around in another decade or so than a parking lot. The Houston Livestock Show and Rodeo is acquiring half of the old Six Flags AstroWorld property for $42.8 million. The organization’s board of directors on Thursday authorized show officials to acquire 48 acres of the former amusement park site to diversify its investments, the nonprofit announced in a news release on its website. The land, which is near Reliant Park, is used for tailgating at Texans games, and for several years the rodeo has had an agreement to use the property for patron parking. The rodeo’s acquisition abuts Chuck Davis Chevrolet and generally runs north to south from Loop 610 to West Bellfort. It includes a pedestrian bridge that crosses over the loop to the Reliant Park parking lot. Here’s the HLSR press release. The story notes that this land last changed hands in 2010. In 2007, the owners at that time sought the creation of a municipal management district to help pay for infrastructure, which included the possibility of extending the Main Street rail line into the property. What all this means for any future development on this site is unknown, but I for one hope it doesn’t mean 48 more acres of parking lot. Surely there’s a better use available than that. Swamplot has more.